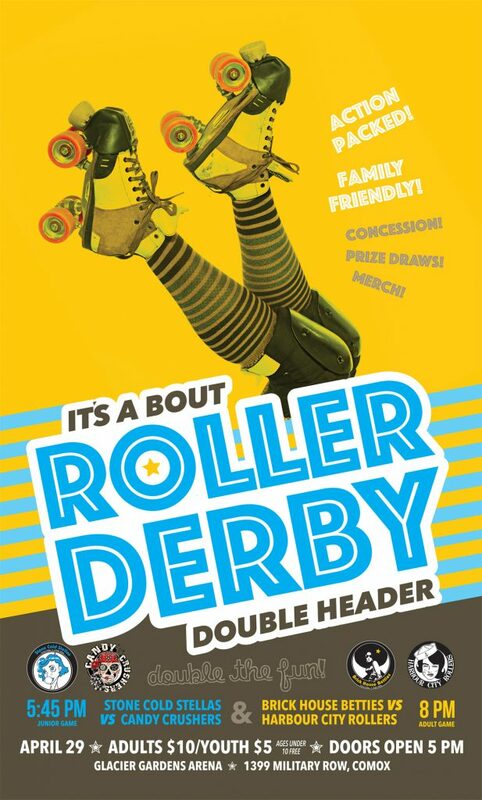 The Brick House Betties invite you to a doubleheader ROLLER DERBY BOUT April 29. It’s our first time at 19 Wing Comox! Contact a skater to buy advance tickets, or cash only at the door. Family fun, concession, merchandise & prizes!